R. Duncan Luce received his BS in Aeronautical Engineering in 1945 and PhD in mathematics in 1950 from the Massachusetts Institute of Technology. Luce was a pioneer in mathematical behavioral sciences. For more than 50 years, he pursued a scientific understanding of human behavior with research that is a blend of mathematical theory and experiments. His work fundamentally altered our understanding of how individuals and groups make decisions in psychology, economics and statistics, and has revolutionized the mathematical underpinnings of psychology and the social sciences. His book (Utility of Gains and Losses: Measurement-theoretical and Experimental Approaches) is a stellar example of his scientific approach. He built a very sophisticated theoretical structure that integrates utility theory with the concept of ‘joint receipt’, which essentially corresponds to the intuitive idea of receiving two valued items at the same time. In a series of works, that led to this book, he showed that reasonable properties of this superficially simple concept, in conjunction with somewhat more standard utility ideas, lead to exciting new theories of choice under uncertainty. Importantly, Luce not only developed these revolutionary theoretical ideas, but in collaboration with students and colleagues he tested them. Luce had a tremendous impact on the community of scholars, working tirelessly to improve the quality of teaching, research and administration at institutions around the world. He cared deeply about issues and also about individuals, supporting students and colleagues in both their professional and personal lives. As a member of the National Academy of Sciences (NAS), he was active in numerous NAS and National Research Council (NRC) committees. Also, he contributed to the goals of the Federation of Behavioral, Psychological, and Cognitive Sciences (as President 1988-91); and was the president of the Society for Mathematical Psychology, of which he was a founding member, and of the Psychometric Society. 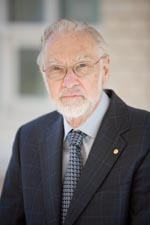 He had a major impact at the University of California Irvine, which included his contributions to the creation and growth of the Institute for Mathematical Behavioral Science, the establishment of the Department of Statistics, the recruitment of important scientists to the UCI faculty, and participation on endless search committees for all levels of university governance. 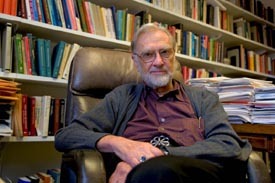 Luce’s extensive awards include the US National Medal of Science, the Gold Medal Award for Life Achievement in the Science of Psychology of the American Psychological Foundation, Honorary Doctor of Mathematics Degree from the University of Waterloo and the Extraordinarius Award of the Lauds and Laurels Program in recognition of his extraordinary contributions to the advancement of the University of California Irvine and the mission of the University. Michael Cantor, WayPoint Research, Inc.
Marvin Cohen, Cognitive Technologies, Inc.
* The FABBS Foundation would like to thank Dr. A. A. J. Marley for nominating Dr. Luce for this honor and for leading the effort to spread the word about his nomination. Would you like to honor Dr. Luce? It’s not too late to have your name added to the list of donors! You can make your donation to Dr. Luce’s In Honor Of… campaign at anytime.